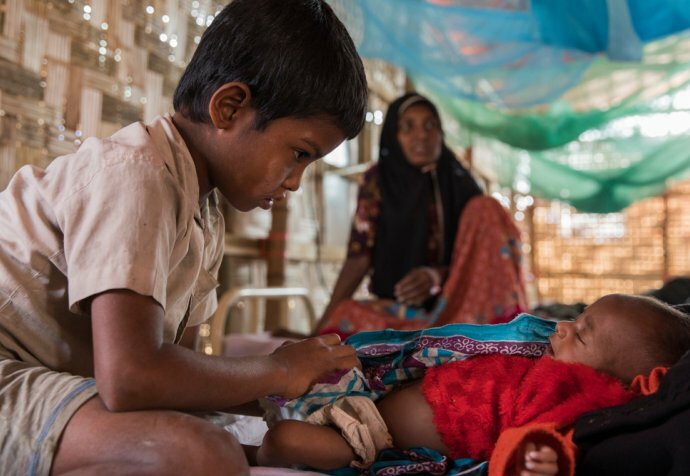 From the slums of Bangladesh’s capital city to the overcrowded Rohingya refugee camp on the border between Bangladesh and Myanmar, MSF is providing critical medical support. 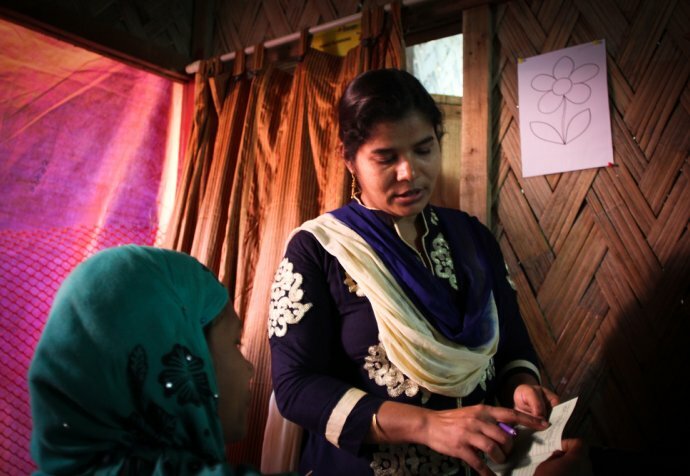 MSF offers medical treatment and psychological support to victims of sexual violence in Bangladesh’s capital, Dhaka, in the slum areas of Kamrangirchar and Hazaribagh. We also provide reproductive healthcare information for adolescent girls, as well as family planning, antenatal consultations and assisting with deliveries. MSF is involved in identifying ways to increase access to healthcare for industrial workers (such as those in factories and tanneries), many of whom are exposed to hazardous conditions for long hours. MSF supports government initiatives to expand routine vaccination in displaced persons camps, as well as in Bangladesh more broadly. We immunise against measles rubella, oral polio and tetanus. Alongside the Bangladeshi Ministry of Health and the World Health Organization (WHO), MSF has vaccinated more than 985,000 people against cholera. Rohingya have been escaping state-based violence in Myanmar and crossing the border into Bangladesh for decades: the Cox’s Bazar district on Bangladesh's southeast coast has hosted Rohingya refugees fleeing targeted violence in neighbouring Myanmar's Rakhine state since 1978. Refugees arriving in Bangladesh have shared stories with MSF about their villages being systematically raided and burnt by the Myanmar military, of mob groups targeting the Rohingya, and of women and children being raped and killed. Surveys conducted by MSF in refugee settlements estimate that at least 9,000 Rohingya died in Myanmar's Rakhine State between the 25th of August and the 24th of September 2017. Sprawling, densely populated, and lacking roads and basic infrastructure, aid is still not reaching everyone, while the conditions in makeshift settlements remain extremely precarious and hazardous, putting people at further risk. The combined population of Rohingya refugees living in Bangladesh in 2018 reached nearly 1 million. The Kutupalong-Bulukhali "mega camp" is the largest refugee camp in the world. 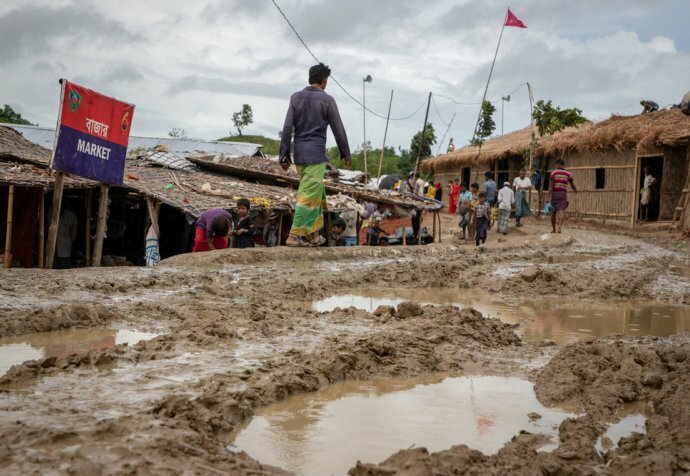 Most Rohingya live in precarious and overcrowded refugee camps prone to mudslides and flooding. 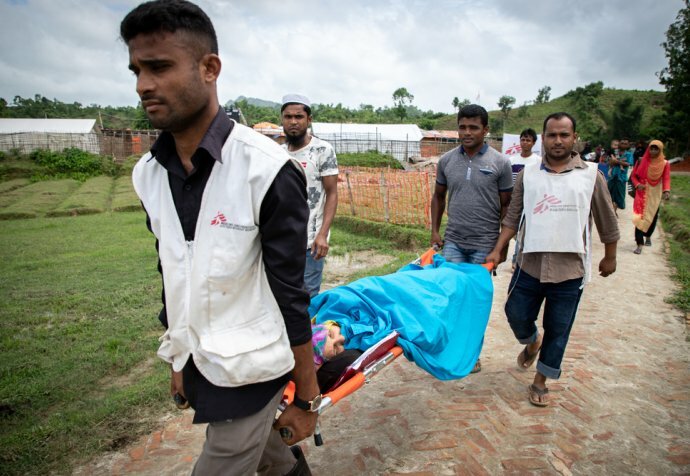 MSF offers comprehensive basic and emergency healthcare to Rohingya refugees and the local community, as well as inpatient and laboratory services. Kutupalong’s sexual and reproductive health unit treats survivors of sexual violence. MSF teams are involved in improving living conditions, with a particular focus on improvements to water and sanitation, access to adequate nutrition and shelters, and reducing population density. Water trucking, and the installation of pumps, wells, and latrines are an important part of our efforts to stop the spread of disease.